Francesco Bergoglio Errico obtained his BA in Geographical Science from the University of Genoa. He later earned his MA in Cultural Anthropology and Ethnology at Alma Mater Studiorum – University of Bologna. 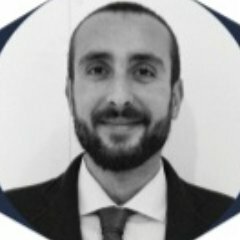 Francesco also holds a postgraduate specialization in Geopolitics and Global Security from University of Rome La Sapienza. Currently, Francesco works as an analyst of emerging challenges and Africa at the NATO Defense College Foundation in Rome. He is also an Academic Tutor for high-level courses on terrorism at SIOI (The Italian Society for International Organization). Francesco’s academic interests include international security, terrorism, Salafism, radicalization and jihadism in Europe. His articles have been published by Atlantico Quotidiano, the Research Center for Security and Terrorism, Geopolitica.info, InTerris and Defense on-line.